For the former British military boarding school in Germany, see Kent School, Hostert. "'Simplicity of Life, Self-Reliance, Directness of Purpose'"
Kent offers 22 interscholastic sports with 50 interscholastic teams from the 3rds, Junior Varsity, and Varsity levels. More than three-quarters of the student body participate in interscholastic sports. Many of the school's athletes earn All-League or All-New England Honors and go on to compete at Division I, II, and III colleges and universities. Kent is a member of the Founders League, a competitive athletic league composed of NEPSAC schools. Its mascot is the Lion although it once was the Fighting Episcopalian. Despite Hotchkiss School's location in the same county, Kent's rival is The Loomis Chaffee School and the two schools have a day dedicated to competing against each other, historically called Loomis Day. 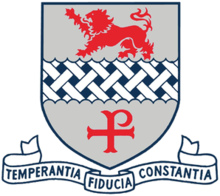 The Kent School Boat Club was begun at Kent in 1922 with the encouragement of Father Sill. Father Sill was the coxswain of the Columbia crew which won the first ever Poughkeepsie Regatta and was very familiar with the sport. Kent returned to compete for the Thames Challenge Cup in 1933 with the support of President Franklin D. Roosevelt who sent a letter to Father Sill offering "[his] good wishes for a successful trip" and commenting on how "the presence of a crew of American school boys will be helpful in strengthening the ties between good sportsmen of the two countries." That year, Kent won the Thames Challenge Cup, just six years after crew began at the school. The Times in Britain wrote, "Kent School were almost certainly the best crew that ever rowed in the Thames Cup." Kent continued to succeed in the sport, competing at Henley 32 times and winning 5 times, most recently in 1972. The school was featured twice in Life magazine, once in May, 1937 and again in June, 1948. Stuart Auchincloss '48 was featured on the cover of the latter publication. Kent Boys Crew has also had success at home, winning the New England Championship Regatta 25 times since 1947. Girls began rowing at Kent in 1973. They won Henley in 2002 and two National Championships in 1986 and 1987. They have also won the New England Championship Regatta seven different times, including four of the first five times it competed for it. In 2006, Kent Boys Crew won the New England championship and became the first American crew to challenge for the recently established Prince Albert Challenge Cup at Henley. In 2010, Kent Boys Crew won the New England points trophy and placed 1st at Youth Nationals. The team traveled to Henley and were runners up for the Princess Elizabeth Cup, losing to Eton College. Football at Kent competes in the Housatonic Valley League. In the past 17 years, the team has earned seven league championships and two New England Championships. The animated TV show Family Guy is written by alumnus Seth MacFarlane. In 1999, the school's current headmaster, Richardson W. Schell, wrote to a number of companies urging them not to advertise with the TV show calling it obnoxious. MacFarlane's parents, who worked at the school, resigned in protest. In 2017, The New York Times reported on a lawsuit alleging that Kent School failed to report sexual misconduct by a faculty member towards a 15-year-old student in 1987 and 1988. The report came on the heels of The Boston Globe's "Spotlight" team revealing decades of sexual abuse at a number of New England prep schools, including the relocation of faculty alleged to have perpetrated abuse to different schools, among them Kent. ^ Livermore, George G. (July 1934). "Hats Off to Kent!". Boys' Life. Boy Scouts of America. Retrieved January 27, 2012. ^ Beattie, Joan (2007). Kent: One Hundred Years. Kent School. p. 109. ISBN 978-0-9779603-6-1. ^ Beattie, Joan (2007). Kent: One Hundred Years. Kent School. p. 111. ISBN 978-0-9779603-6-1. ^ Wells, Connor. "Varsity Football". kent-school.edu. Retrieved 13 January 2015. ^ "Team Pages". 12 July 2016. ^ Lawrie Mifflin (1 July 1999). "Irate Headmaster, Irreverent Alumnus: The 'Family Guy' Saga". Retrieved 30 April 2017. ^ "Suit Alleges Past Sexual Abuse at Connecticut Boarding School". ^ "A look at the schools that allegedly retaliated against students - The Boston Globe". ^ "Spotlight: Sexual abuse at New England boarding schools - The Boston Globe". 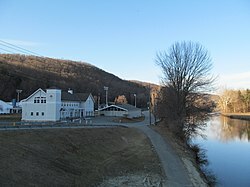 Wikimedia Commons has media related to Kent School.